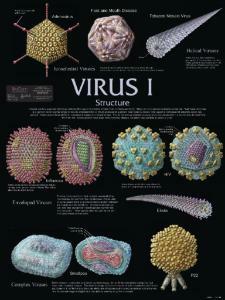 These charts present useful information for your virology studies. 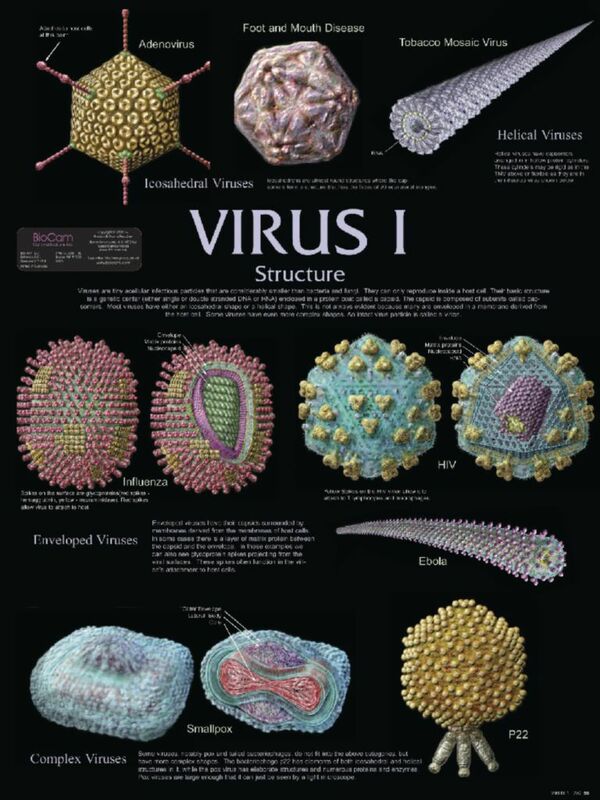 The Virus I chart depicts well-known examples of icosahedral, helical, enveloped, and complex virus structures; Virus II chart covers replication, with detail on Influenza life cycle; Virus III presents information specific to bacteriophages, contrasting lytic and lysogenic cycles. Set of three charts.